LEAD WITH CONFIDENCE AND BUILD GENUINE CONNECTION IN YOUR BLENDED FAMILY! CLICK HERE TO GET BLENDED FAMILY SUPPORT NOW! 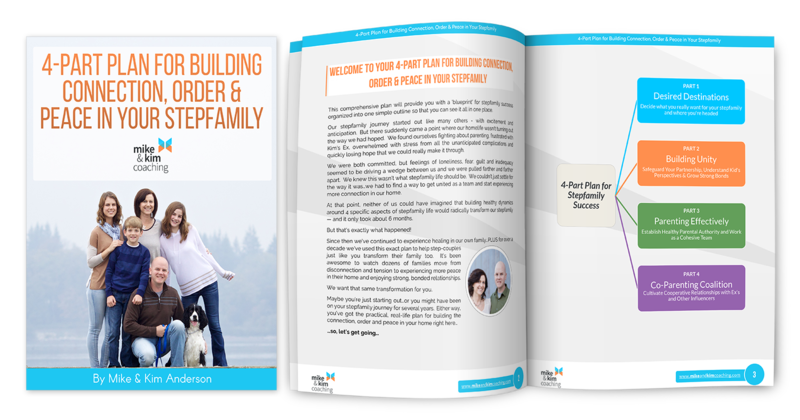 Get Your copy of our 4-Part Plan for building connection, order & peace in your stepfamily. 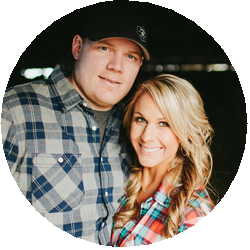 We'll help you discover the 4 steps you need to take to get united as a couple to lead your family forward! Schedule a FREE consultation to see how we can help you reduce conflict, connect more as a family and increase confidence so you can create a whole new future for your family! We know stepfamily life can be hectic. You probably want to discover healthy ways to connect in your home, but feel like you don't have the time. Now you can learn at your own pace and have support! Stepfamily Life Not Quite What You Expected? "We just feel stuck. We knew stepfamily life wouldn't be perfect, but we thought it would be easier than it is. This isn't what we thought we were signing up for!" "We figured it would take some time to 'blend', but come on already! When are we going to start feeling like a family?" "We planned on enjoying lots of family time, but now when we're all together the tensions has us walking on eggshells." "It seemed like we were on the same page about so many things while we were dating, but, but now we don't agree on anything!" "I thought having a partner to help parent my kids was going to be great, but now I just feel stuck between meeting the kids' needs and coming through for my partner." "My Ex and I used to co-parent really well, but now we just can't seem to agree ever since my new relationship started." 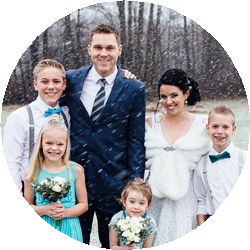 "We came to Mike and Kim discouraged...through the coaching we received, we were able to set goals for our marriage and understand the dynamics of our blended family scenario. 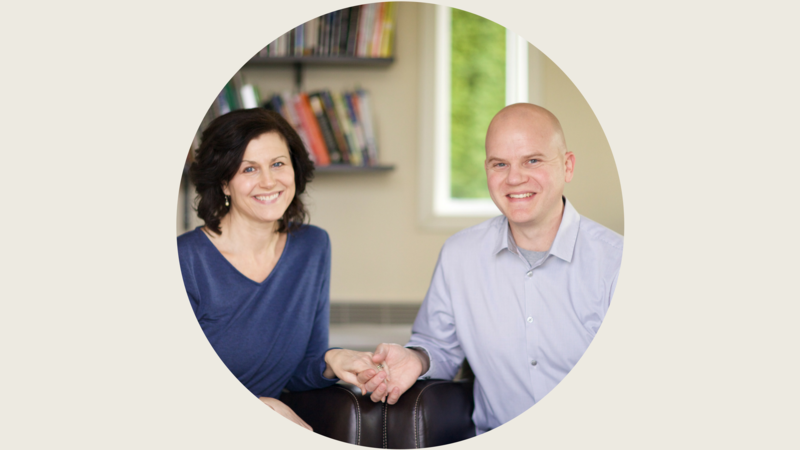 Our circumstances continue to improve because Mike and Kim helped us develop a successful plan to move forward through strengthening our marriage bond and to use better tools to engage our teens in the new blended family." After 17 years of experiencing our own stepfamily journey, we've faced plenty of challenging pressures. The relational pressures of striving to connect. The financial pressures of a three year family court battle. The parental pressures and heartache of watching our children struggle. The emotional pressures of past hurts and hang-ups. The marital pressures of trying to 'make our family work'. All of these pressures nearly tore our marriage - our family - apart. But we chose not to give up. Along the way, we've discovered a path through the pressures. We've developed a clear understanding of the hidden issues that are a part of the common stepfamily experience. We've learned strategies that have given us confidence to keep moving forward. We've learned to lead our stepfamily toward meaningful connection. 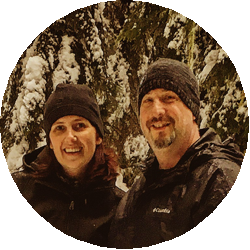 "We completely appreciate Mike & Kim's heart, respect their own stepfamily story and learned a lot from them that directly impacted our family...even 7 years into the journey! They do a great job of giving access to the best research, coaching advice and practical skills that are out there for stepfamilies....and they deliver it with such hope and clarity. Mike & Kim's class is important for a blended family’s harmony. The return on investment will be huge. Don’t miss this opportunity to invest in your family’s emotional health and happiness." If you're still reading, you've probably been experiencing some pressures in your own stepfamily journey. We want you to know that there is hope! I (Mike) grew up in a stepfamily that didn't find that path through the pressures. I've experienced life as a step-child, a step-sibling and a step-parent. I know how tough it is. Now, I'm grateful that Kim and I have discovered how to create peace and stability in our home. We've overcome what seems like the impossible and are passionate about helping couples just like you find what we've discovered. Wherever you are in your stepfamily journey, you CAN set a new course toward that connected family experience you've been longing for. After helping step-couples navigate their own journey for over a decade, we're confident we can help you get there too. 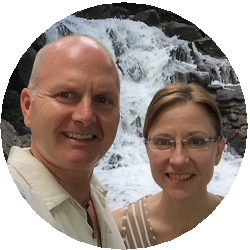 "Mike and Kim have really opened our eyes and hearts to some of the unique challenges that blended families experience. They both presented information with hope and use their own personal experiences along the way. We are blessed to have been a part of this class." ...you can choose to invest in your family by discovering essential elements that will give you clarity around stepfamily dynamics, build confidence to move forward and intentionally create healthy connections in your family. Get started today by downloading your FREE copy of our 4-Part Plan for Building Connection, Order & Peace in Your Stepfamily. We're excited to partner with you as you take your next step! "With Mike & Kim's guidance and expertise, our first couple months as a new, blended family has gone smoother than we anticipated! We have learned many useful tips and tricks on how best to go about combining our two households and families. More importantly though our kids are flourishing in our new home and our sanity (for the most part!) is holding together. Thanks Mike & Kim for your wisdom, knowledge and prayers!"